The EIE I/O is a tabletop USB audio interface perfectly tailored for project and portable studio setups. This four-in, four-out (4x4) device enables users on Mac and PC-based systems to record up to 24-bit resolution into virtually any DAW, recording or performance software. The EIE I/O also houses three convenient USB inputs, in addition to its main USB port, enabling users to connect controllers, hard drives or any other peripheral when native ports on a computer may be limited. The compact recording interface contains high-quality components including nickel-plated input jacks, analog-style VU meters and a rugged aluminum casing for a powerful, professional, portable audio solution. 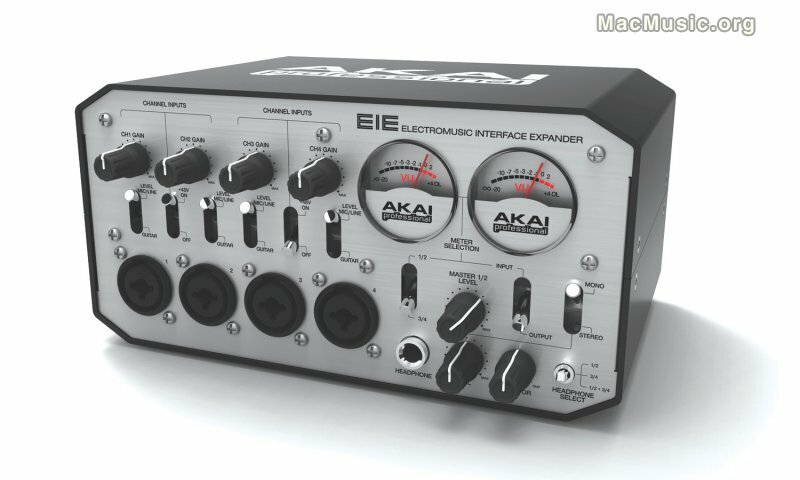 Each channel of the EIE I/O has a XLR-¼" combo jack, dedicated sturdy, gain-pots and Mic/Line/Guitar switches. The EIE I/O features four discrete-design preamplifiers with 48V phantom power for use with virtually any microphones.